Get power rankings for your league, based on accurate consensus projections. See how your team stacks up in each scoring category. 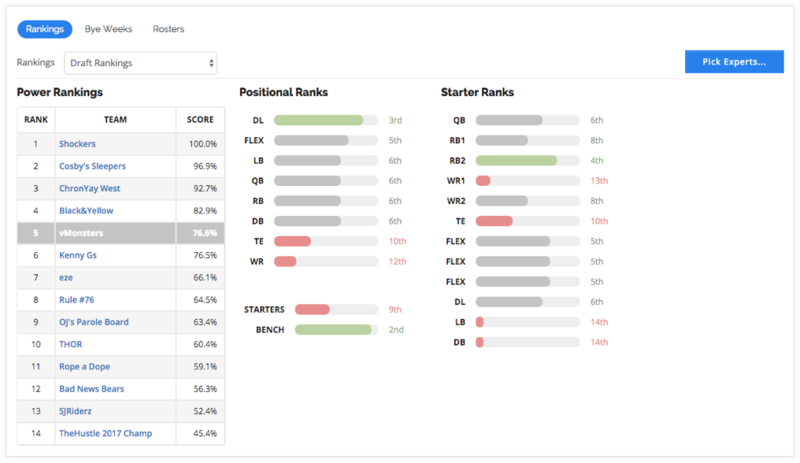 Find out how the experts rate your roster compared to your opponents.